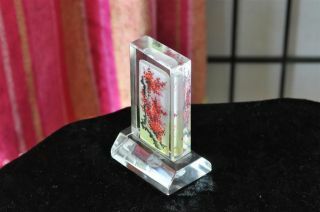 Vintage Tall Glass Chinese Paper Weight …with Painting From The Inside. . . .